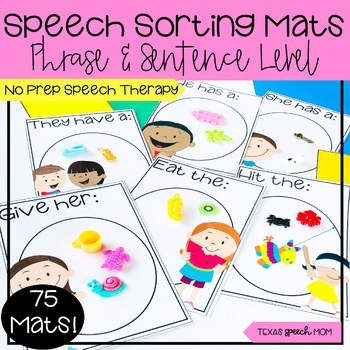 There are 75 sorting mats included in this resource! Each mat comes in the "print and go" binder size and the smaller 4x6 talk box size. 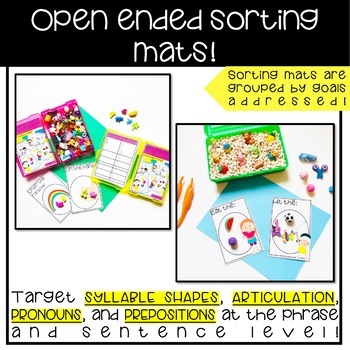 This is a fun way to target articulation, syllable shapes, and language goals while sorting through mini objects, mini erasers, or flash cards! 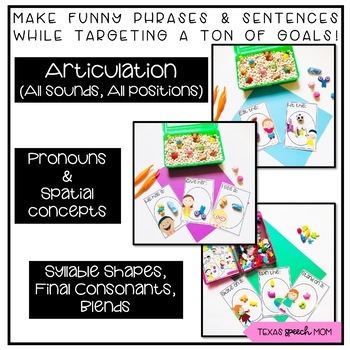 The students are able to make funny phrases while still addressing their target goals! Note: Mini objects can be ordered through Dinky DooDads, amazon, or found at local craft stores! 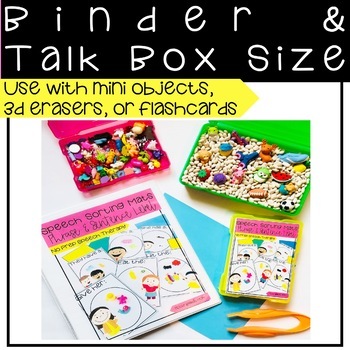 Mini erasers can be ordered on amazon, Target dollar spot and party section, and various stores!